SIMON MAINWARING: It's a special webinar today because our guest is Colleen Vien, the Sustainability Director at Timberland. It's a rare opportunity to tap into the insights and learnings of a leading global brand --- not just in the footwear and apparel category, but in terms of their sustainability leadership around the world. 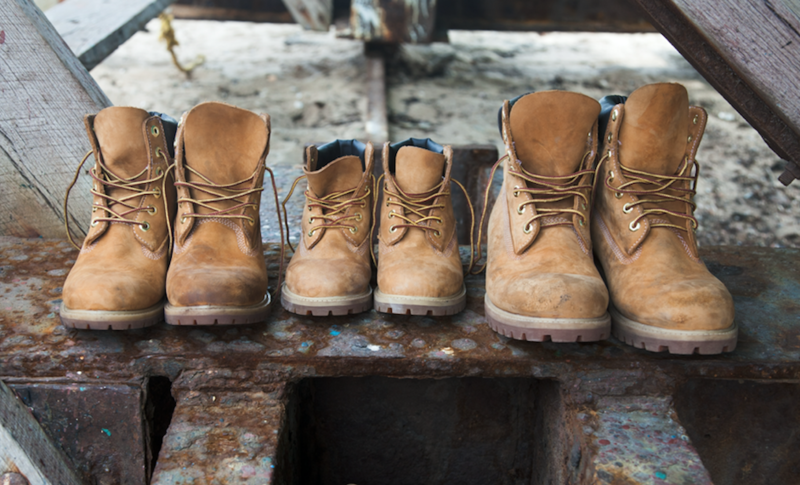 I think very few of us realize how purpose has always been built into the origin story of the Timberland brand. Could you speak to us a little bit about where the brand began and how that's informed its marketing ever since? COLLEEN VIEN: The company started back in the ‘70s and in 1973 was when they designed that famous icon boot -- the Yellow Timberland Boot. Now, that boot was designed intentionally for one thing: to allow people to strap it on and be able to step outside, get work done and to make something happen. From the very beginning, it had a very strong purpose. That led to [ three generations of family leadership ] for the first 30 years. Nathan Swartz was the individual that created that innovative Yellow Boot -- the first truly waterproof boot that didn't have a bootie on the inside. His legacy, then, was that innovation, thinking outside the box and problem solving. His son, Sidney, comes along, and his legacy was to take that business and make it global. Back in the day, people weren't putting brands on their footwear. He wanted to actually take a boot and put the branding iron on it. Then his son, Jeffrey Swartz, comes along, and he says to himself, “Well, what's my legacy to the company?” He felt very firmly that commerce and justice could live together and that businesses should be about giving back and not just making a product. So, how do we not just reduce our environmental impact, but how do we actually make the world a better place? So, right from the beginning, purpose has been there. Then, we went into a new generation of leadership when we were acquired by VF Corporation in 2011. What's great about the new journey that we're on is that we have the support behind us of a large company like VF Corporation, who truly believes that without being purpose-led, your business can't grow. We've also had CSR in place for 25 years. Specifically, our Path of Service for employees to do community service hours with paid time off to do that. We've been doing this for a long time, but we didn't really have a good, strong way to articulate and message it, both internally and externally. And now we just worked together to create our newly refined and refreshed purpose statement which is: To inspire and equip the world to step outside, work together, and make it better.